Create a modern and welcoming breakfast bar in your kitchen with the Maddox counter stool. 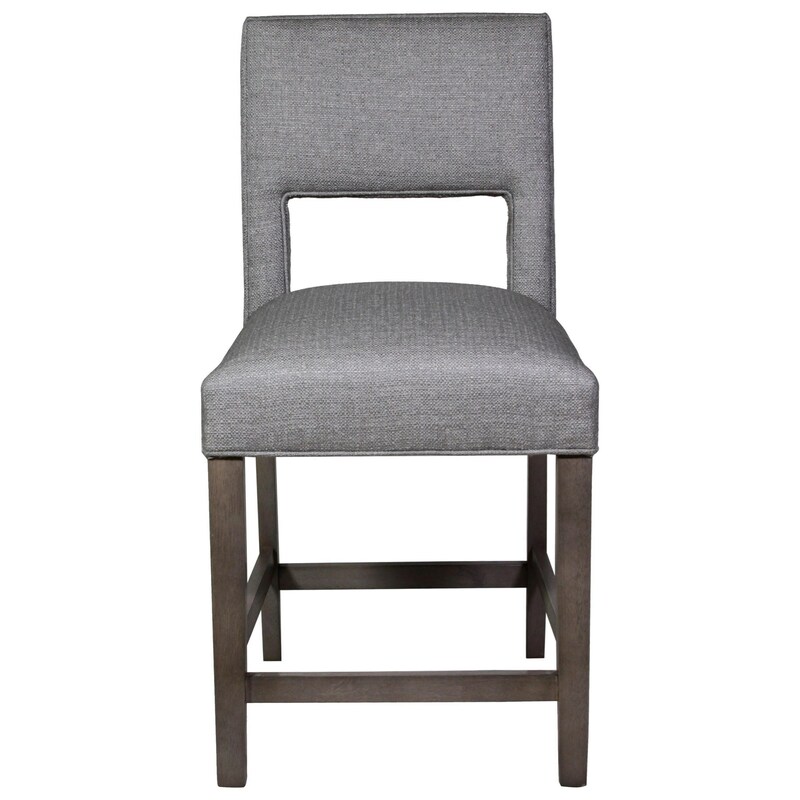 Available to customize leg finish and fabric options, you can create the perfect match for your eat-in kitchen or bar area. The Comfort Zone Dining Maddox Counter Stool by Hekman at HomeWorld Furniture in the Hawaii, Oahu, Hilo, Kona, Maui area. Product availability may vary. Contact us for the most current availability on this product. Leg or Base Straight Wood Legs. Seat Back Tight Back Cushion. The Comfort Zone Dining collection is a great option if you are looking for Contemporary furniture in the Hawaii, Oahu, Hilo, Kona, Maui area. Browse other items in the Comfort Zone Dining collection from HomeWorld Furniture in the Hawaii, Oahu, Hilo, Kona, Maui area.